The Wistlebinkies and the Laggan were two Scottish folk political bands from Glasgow of the 70s. 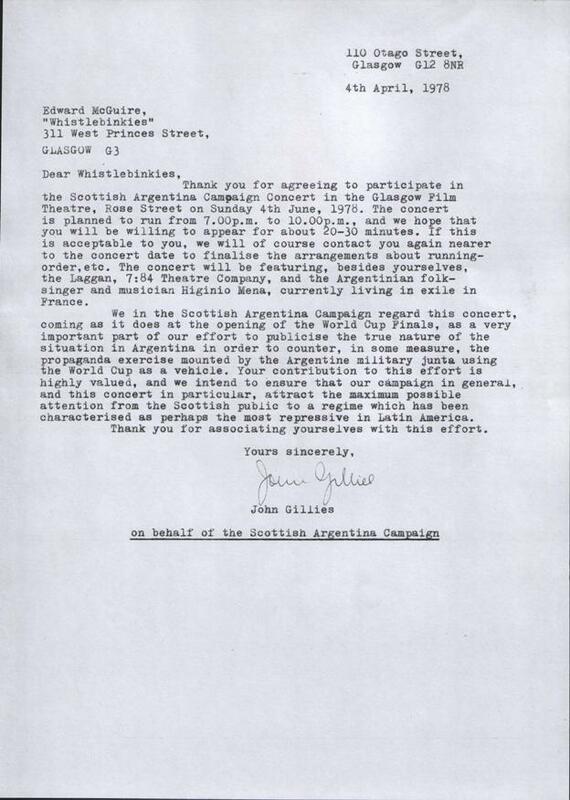 As far as I can remember they were always at the centre of the Chilean Solidarity Campaign in Glasgow. 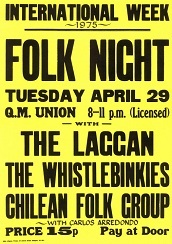 Both bands are the responsible for me to have fallen in love with the Folk music of Scotland. 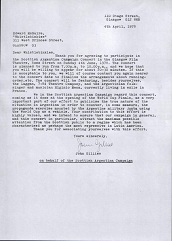 Unfortunately The Laggan disbanded but I know that Arthur Johnston, their Glasgow singer and founder of the successful Star Folk Club in Glasgow is still going strong with the singing. 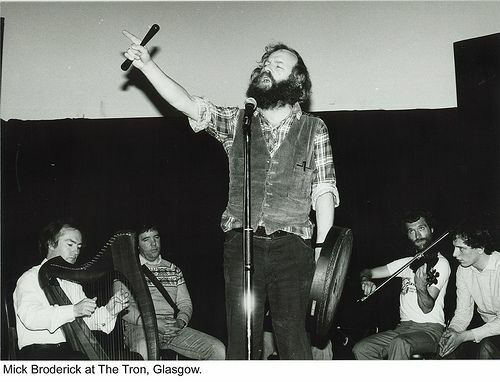 Mick Broderick, The Whistlebinkies storyteller and singer, was not only a lovely and funny character but a very supportive man with the Chilean Refugees. 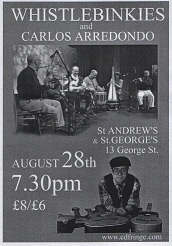 In several occasions, our Chilean Folk Group shared a platform with The Whistlebinkies and the Laggan and for me it was always a joy and although I could not understand the lyrics of their songs, I could feel deeply their music. Click here to see a small but interesting gallery of the Laggan and Arthur Johnston. 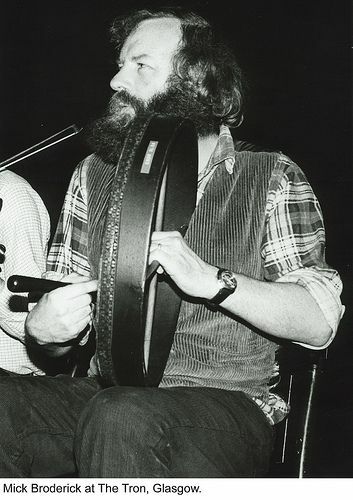 The Whistlebinkies are still around either touring or recording and their leader, the composer Edward McGuire, has become today very well known in Britain and abroad for the beautiful music he produces. 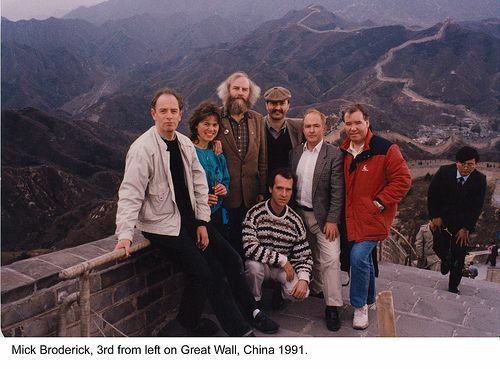 Eddy and another Whistlebinkies' member, the musicologist Stuart Eydmann, are friends of mine and together always encouraged me to carry on with my singing. Eddy wrote a guitar piece dedicated to the People of Chile. All songs are mine except 5 and 6. Song number 6 is a poem written for my son and in Spanish by my Scottish friend and Poet John Gillies. I set the music to John's poem. All songs except 1 and 5 were recorded with my daughter. 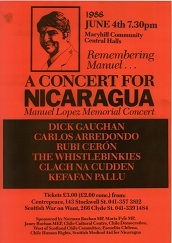 Number 5 is a free version of Sergio Ortega's famous song "The People United will never be defeated". I always said that this is an archaeological song as it speaks about the finding of an old civilization in the Atacama Desert. In this song we see: the landscape, people, objects, solitude and drama. At the end of the song I ask myself if in the future our own civilization will be found, underneath the earth, by people who will discover not only our remains, our drama but our fate as a race. I imagined a very Latin American situation where Mr Moyano had to leave his country because of political turmoil. He left behind a sad personal story and a beautiful country. The desire for Mr Moyano to return to his "beautiful" place is a utopia. A blacksmith remind him that his country is the scenery where his wife and brother have been murdered: His wife," a beautiful girl by the name of Rosa", was his flower" "Era una linda moza de nombre Rosa era mi flor"
We must have the courage to expose the agents of despair and wars: these people dress well, has good education, have adorable families, goes to the church, some wear colourful uniforms and looks normal from any perspective. From my viewpoint, however, I know that many of them: politicians, scientists and military men are responsible for the death of so many innocent people and the brutal chaos found today in many part of our world. When the centenary of the birth of Neruda came in 2004 I wrote this commemorative song. Neruda deserves it. He is one of the 20th century's greatest poets in any language. Many will disagree with me but I know that Gabriel Garcia Marquez, will agree. This song by Chilean composer Sergio Ortega is one of my all time favorite. It is magic music and it must be because: the pianist and composer Frederic Rzewski composed 36 variations of the same tune. Mine is a free version and I love it because I am playing with real musicians, who are also happened to be my friends among them the Scottish composer, Edward McGuire who played the flute in the song. This is a poem written by my friend John Gillies to commemorate the birth of my son. John wrote it in Spanish and I dared to set music to his poem. The poem provides beautiful imagines of South America and Italy via Scotland. The song finished with a good blend of Chilean and Scottish Rhythm.